As the winter wind whips the leaves from the trees outside, dear old Oma has prepared her annual Yuletide Feast for us! Take your seat at the Feasting Table next to your closest friends and relations, and revel as another magical year comes to a close. Just be sure to mind your manners. For good little Wizards receive a visit from jolly ol' St. Nick. 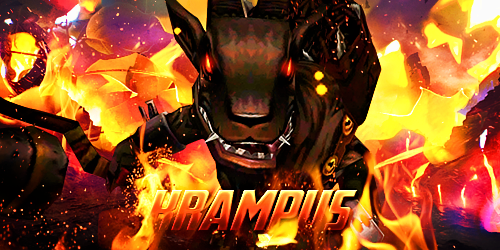 But naughty Wizards receive a visit from... the Krampus! Use your Skeleton Keys to venture into the Krampusgarten and confront the horned demon, Krampus, before he comes wriggling down the chimney and ruins the Yuletide Feast! Where can I find this Krampus Dungeon? Players can access this content from any of these 4 locations: Ravenwood, Colossus Boulevard, Celestia and Polaris. Why can't I play the content inside the Yuletide Feasting Hall? You will need a Skeleton Key to play the content inside the hall. What is a Skeleton Key? How do I get a Skeleton Key? Skeleton Keys are used to open locked doors around the Spiral that have challenging bosses inside them. 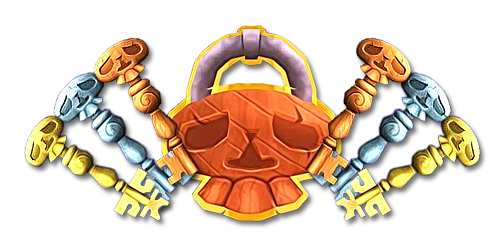 These Keys are dropped around the Spiral after dueling against notable bosses and enemies. There are three different types of Skeleton Keys including Wooden Skeleton Keys, Stone Skeleton Keys and Gold Skeleton Keys. How do I know if I have a Skeleton Key? Skeleton Keys show up in your backpack as housing items in the Wall/Painting tab. Once you use a Skeleton Key, it is gone from your backpack. Yes! 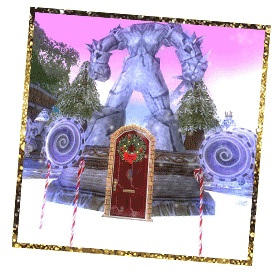 Players have a chance to get the Krampus Bell Staff and many other awesome holiday items.